Beautiful card! I love the butterfly image! Thanks for playing with The Paper Players! Gorgeous butterfly image....the coloring is beautiful~ I love how you turned the sketch too! Thanks so much for playing with my sketch this week! 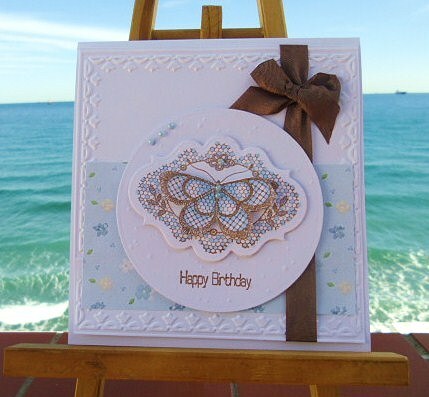 Hi Sylvie, This is absolutely stunning...I love the image and the papers and the layout is fab too hun. What an amazing card!! Loving the design and he butterfly is gorgeous! Thanks so much for playing along in my word play saturday challenge!